The future of our children’s health is in question. However, positive conversations about food, exercise and overall health, can turn that around. Good health is important in a child’s quality of life as it can influence their future health, ability to learn, and socialise. However, if statistics are anything to go by, the health of our children is concerning. Record numbers of Australian children are either overweight or obese, and not getting enough exercise. They are also developing some very unhealthy approaches to food. Currently, around 1 in 4 children aged between 2 and 17 years are classified as not being in the healthy weight range, with 18 per cent being overweight, and 7 per cent obese. This is compounded by children not getting enough exercise. Only 29 per cent of children (aged 5 to 11) and 8 per cent of adolescents (aged 12 to 17) meet their daily requirements for physical activity. Many children are having too many biscuits, cakes, muffins, confectionery, cereal bars, and soft drinks. Unfortunately, they’re not eating enough vegetables, with only five per cent of our kids meeting their recommended daily vegetable quota. As we know, overweight and obesity, lack of physical activity, and a poor diet are all risk factors for diseases both in childhood and adulthood. A higher risk of developing asthma, obstructive sleep apnoea, bone and joint problems, type 2 diabetes and potential heart disease. Already in Australia, type 2 diabetes (a disease that was typically seen in those over 45 years) is occurring in children and adolescents. More likely to be bullied and suffer from social isolation, depression and low self-esteem. More likely to become overweight or obese adults, and increase their risk of other health conditions in adulthood such as heart disease, type 2 diabetes, and some cancers. You can help ensure your child has a healthy body and lifestyle by talking to them about food and exercise and how it impacts their body, in a way that is relevant to them. Toddlers and younger children often place value in ‘getting bigger’ or ‘growing strong’. So, explaining that eating yoghurt and playing outside will help their bones become strong may provide them with an incentive eat it more and enjoy physical activity. Similarly, a teenager who enjoys playing sport may be interested to learn that eating certain foods will lead to better recovery, and performance on the sporting field. 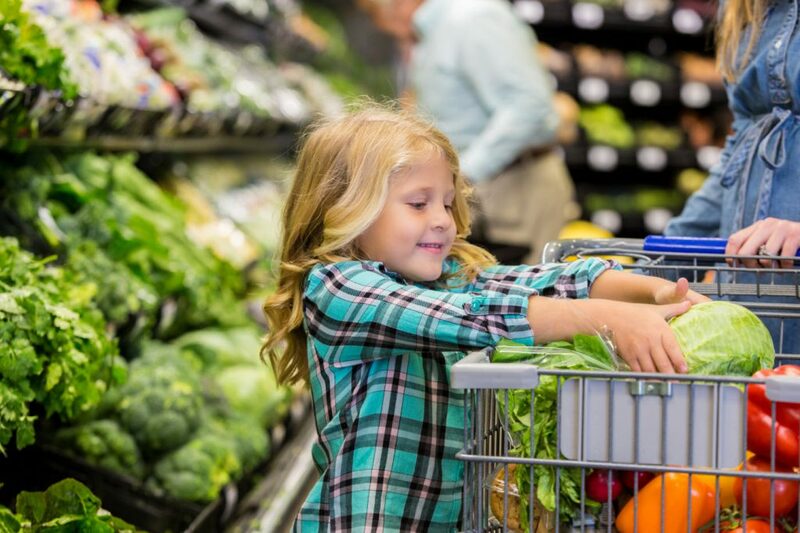 Including children in the grocery shopping each week can also help. Use this time to educate on the types of fruits and vegetables you’re buying, and how they contribute to their health. If your children are older and often ask you to buy junk foods, explain why they are only ‘treat’ foods. Use meal times as a way to get children engaged in the food your family is eating. Ask them to help you prepare dinner, or if they’re old enough, they may even be able to plan and cook the meal. With younger children, discuss what’s on their plate, and why it’s good for them. While it’s important to talk to your kids about the value of eating healthy food and getting exercise, there’s more power in making it a lifestyle for the whole family. That means all of us should be reducing the amount of junk food in our diets, and increasing levels of exercise. A great way to do this is to exercise as a family. You’ll obviously need to choose activities to suit everyone in the family; but some great ideas include playing frisbee, playing in the playground, cycling, swimming at the local pool, and walking. Labelling food ‘good’ and ‘bad’; focus on ‘everyday foods’ and ‘sometimes’ foods instead. Focusing on negative consequences (e.g. “If you eat junk food all the time, you’ll gain weight.”). Educating your children about food and exercise, and changing habits is not always easy. It may even require you to do a little research yourself, in order to educate them. However, the lifelong benefits for you and your kids are well worth the effort.